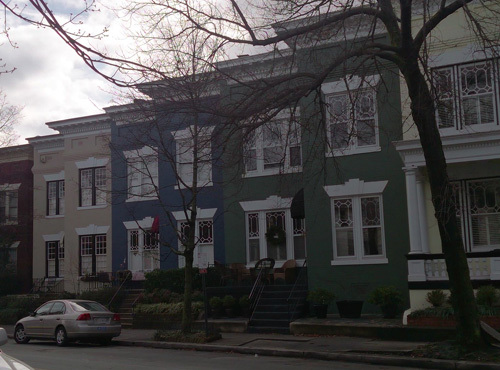 A few weeks ago, I posted a photo of a rather interesting row of homes that were angled instead of facing the street head-on. 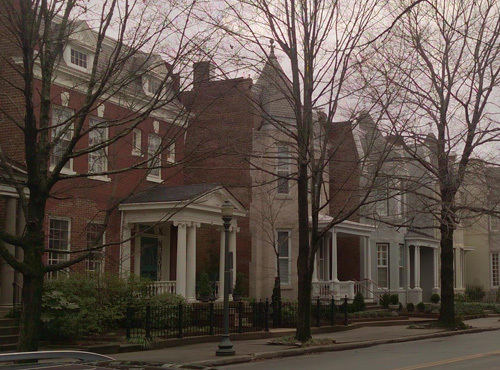 This isn’t the typical type of row people think of but if you’ve got angled streets, this is exactly what sort of row houses you’ll see since it allows for rectangular homes within the plots. 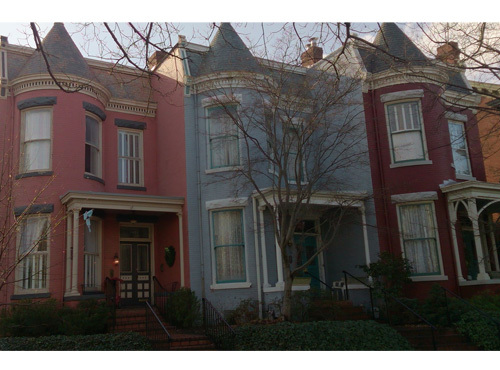 The stepped appearance of the row somewhat resembles the edges of a fan so when I was introduced to the Fan District in Richmond, Virginia by our Facebook follower Jeremie B., I thought it was very fitting that the neighborhood moniker fit the appearance of the elevations of the row houses. He provided the photos for this post (thank you!) to show some of these beautiful homes. The Fan District, or simply “The Fan,” is situated in the West End section of Richmond. 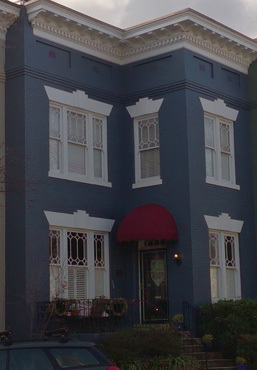 The border to the north is Broad Street and to the south, VA 195. Notable areas of interest within the neighborhood include Monument Avenue and VCU’s Monroe Park Campus. The area is predominantly residential and is a protected national historic district. With so many options, there is something for everyone! 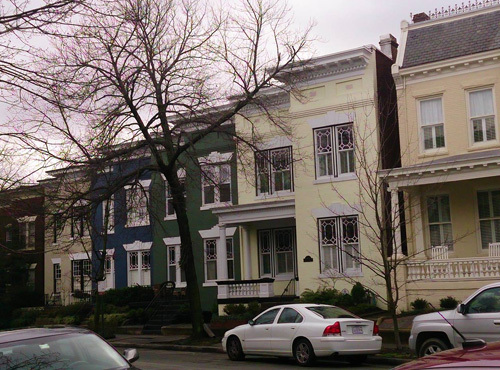 As the photos show, The Fan offers one beautiful row house after another. If you happen to have a row house in any of those styles, you can get some great ideas for color and style from these shown here. I was immediately enchanted by the prevalence of porches and front yards which create a garden oasis feel; very elegant and beautiful. 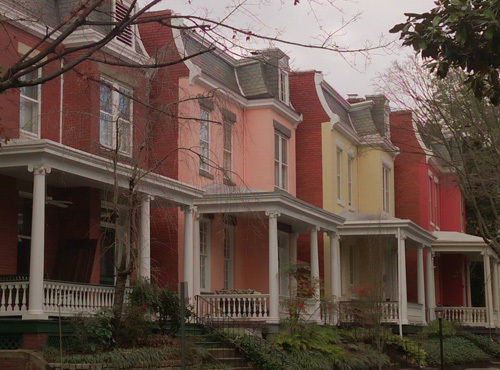 However, the homes are also very true to their row house roots; mostly brick, and mostly uniform and consistent. 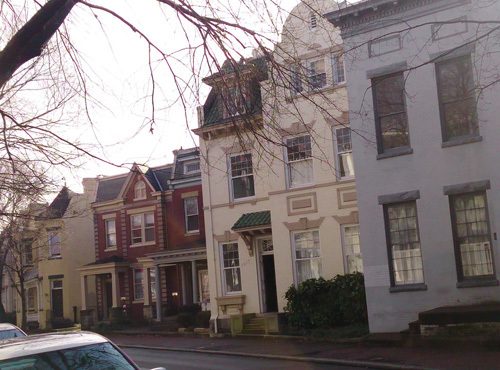 Historic row houses in The Fan can be somewhat pricey; $500K and upwards on average, for an entire house. Generally, the homes are very well maintained, historically certified, offer mature gardens, and have more than 2,000 square feet of living space. Here is an example of a current home for sale that is similar to those in our photos. 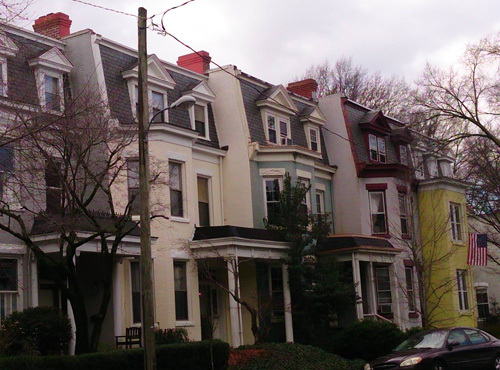 There are a few smaller homes that are naturally less expensive and, if you don’t mind sharing your row house, some of the larger homes have been divided into apartments. The local schools include Fox Elementary School, Binford Jr. High School, and Thomas Jefferson High School. To learn more about The Fan, please visit The Fan District Association website.